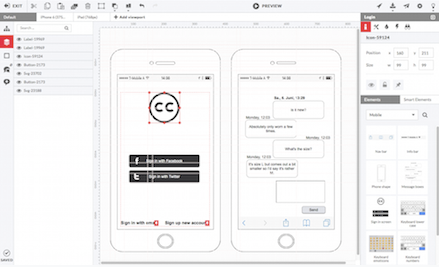 With HotGloo you can design interactive wireframes. Usability test your clickable wireframes. Your wireframes are finally coming to life. Getting an accurate feel for the information architecture, the interactivity and the usability of a website is one of the most important aspects of any web project and HotGloo makes it easy and accurate. With HotGloo your web projects finally come to life in the most important stage, the wireframe process. Since HotGloo is an online application you can even co-work with team members in realtime or send previewlinks to clients for gathering feedback and apply changes quickly without touching a line of code. Wireframe differently - go interactive!